Direct Debit offers many advantages to small businesses, making it easier to get paid on time and protecting against cash flow problems. However, with most banks requiring companies to have a minimum turnover of £1 million to be eligible for Direct Debit – along with other restrictive criteria – many smaller businesses have trouble accessing this reliable method of payment. This is where companies like London & Zurich can help. Small businesses can often find it problematic to set up Direct Debit through their bank. As well as a minimum turnover requirement, which can be prohibitive for smaller companies, activation can take up to ten days, and there is a lengthy administration process. In order to set up Direct Debit payments, your company must also register as a Service User, which authorises you to use Bacs services such as Direct Debit. You will need to obtain a licence known as a Service User Number (SUN), but this comes with a checklist of requirements. A bank will usually check your business’ financial standing and contractual capacity, as well as its administrative quality, to determine its eligibility. At London & Zurich, our Bacs-approved facilities management solutions make it easier for your growing business to collect Direct Debit payments. We provide a bespoke Direct Debit service to ensure your business runs efficiently, streamlining the payment collection process in order to improve your cash flow and reduce average debtor days. If your turnover is beneath the minimum threshold required by most banks, or fails to meet any of the other criteria, facilities management solutions like London & Zurich can act as a third party, giving you access to Direct Debit with minimal hassle. We can help set you up with a Service User Number, while ensuring that your company’s name still appears on your customers’ bank statements. London & Zurich specialises in facilities management, so you can leave the administration to us, freeing up time and money that can be spent more productively.  Although we manage the process on your behalf, all Bacs reports are available for you to view online, so you can still track your income easily and efficiently. So, if you’re looking for a hassle-free and cost-effective Direct Debit solution, don’t hesitate to get in touch with us today.